It’s also a natural source of vitamin K and potassium. Few things in life are more delightful than discovering the goodness in something (or someone!) that the general population discards without a second thought. Right now, in my part of the world, sweet corn season has reached its peak. Well, today, we’re going to talk about a few of the wonderful benefits that corn silk has and why we should view it more as a blessing than a curse. 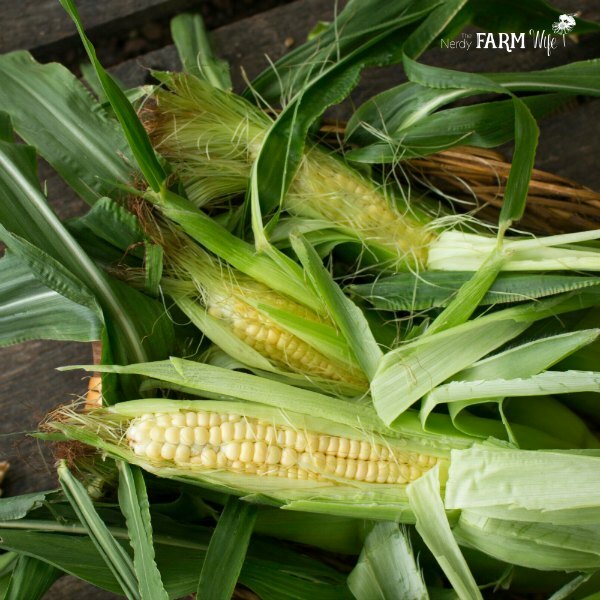 To harvest your corn silk: Simply pull the golden-green strands off of the ears, when shucking your corn, and spread them out on a plate or paper towel to dry. Corn silk is best used fresh, or as a second best option – freshly dried. Make sure you use homegrown or organic corn. The silk on conventional corn from the supermarket is likely loaded with pesticides that would be counterintuitive to our goal of increased health. To make a tea: Use about 1 tablespoon of chopped corn silk per cup of almost boiling water. Cover and let this steep for fifteen to twenty minutes or until cool enough to drink. Strain. Sweeten with raw honey to taste, if you wish. You can store leftovers in the refrigerator for two to three days. Doses vary depending on your body weight and condition, but a general recommendation for adults is up to 1 cup of tea, two to three times during the day – avoiding the hours right before bedtime. Reduce doses for children accordingly. 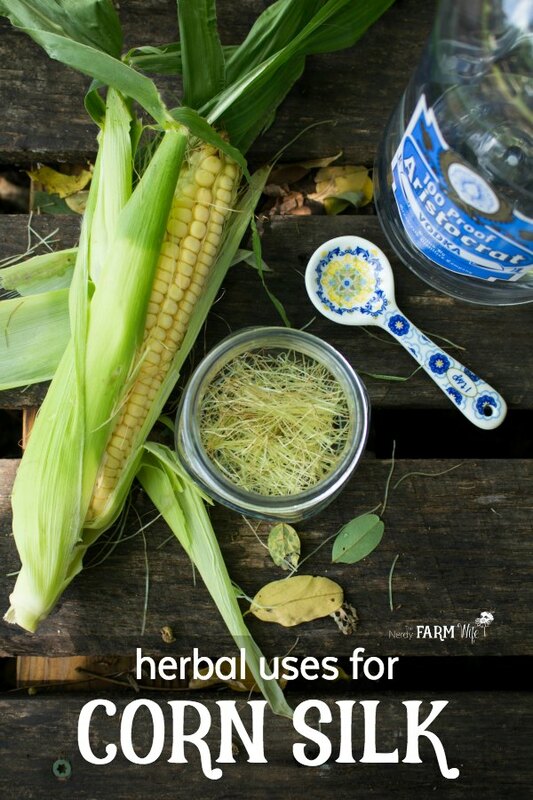 To make an alcohol tincture: Fill a small jar about 1/4 full of fresh, chopped corn silk. Fill the rest of the jar with a high proof alcohol such as vodka. Cap and let this infuse in a cool, dark place for four to six weeks, shaking occasionally. Strain and dose around 1/4 to 1/2 teaspoon, several times a day; reduce amount for smaller children. (Mix with a spoonful of raw honey for higher patient compliance & tastiness!) Shelf life of this is well over a year. To make a glycerine tincture/glycerite: Another way to preserve your fresh corn silk, is to use vegetable glycerine to make a tincture, instead of vodka. (You can buy pure, organic vegetable glycerine HERE from Mountain Rose Herbs.) Glycerites are more suitable for children, pets and those who wish to avoid alcohol. Using roughly two to three times the amount of glycerine than fresh corn silk, blend the two in a mini-food processor (like THIS ONE) until thoroughly macerated. Pour into a jar, cap and store in a cool dark place, shaking daily. After two weeks, remove and strain your glycerite through a fine mesh sieve and/or several layers of cheesecloth. A suggested starting dose is 1/4 to 1/2 teaspoon, several times a day. (Reduce for smaller children.) Shelf life is about a year. Corn Silk & Pets: Corn Silk can be used to treat many pets. The tea made with fresh silk works best, especially if you are targeting the urinary tract, but a glycerite can be helpful too. 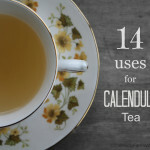 (Suggested tea dose: about 1/4 cup of tea per 20 lbs of body weight, twice per day. 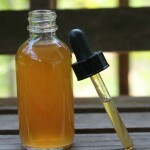 Glycerite dose: 1/4 teaspoon per 20 lbs, twice per day.) Not recommended for pregnant animals. Check with a qualified vet for further guidance on your pet’s particular situation. If you have an allergy to corn or are taking a prescription diuretic, don’t take corn silk. If you have other medical conditions, are pregnant or nursing, have severe pollen or other allergies, or any general concerns, it’s a good idea to check with a qualified professional before use.While this site does its best to provide useful information, any reliance you place on such information is strictly at your own risk and not a substitute for medical, legal, or any other professional advice of any kind. Corn Silk is a safe and gentle herb to use in the treatment of bedwetting. Use the tea or tincture during the day (up until about 4 or 5 hours before bed) to help strengthen a weak urinary system. You may want to combine it with plantain or yarrow for more effect. Remember, there are many causes of bedwetting, including allergies, poor diet, deeper medical issues and stress. As a former “accident-prone” sufferer, I implore you to keep exploring options & examine every aspect of your child’s life, if the corn silk doesn’t seem to help after several weeks. In my case, I had a horrid elementary school teacher that made me a nervous wreck. It’s a very long story and I even ended up seeing a kidney specialist because of the severity of my problem… but, for the sake of brevity, I’ll jump to the solution: once I transferred schools, I never had an accident again. Corn silk is anti-inflammatory and protects and soothes the urinary tract and kidneys. It acts as a diuretic and increases the output of urine, without adding further irritation to an already inflamed system. For urinary tract infections, try combining with uva ursi or Oregon grape. Saw Palmetto combines well with corn silk, to help reduce prostate inflammation and help with pain while urinating. For cystitis, investigate yarrow as an accompaniment to your corn silk. Along with marshmallow root, corn silk may be helpful in easing the passage of a kidney stone. Some people are able to take corn silk for longer periods of time, as a tonic herb. This may help reduce incidents of flare ups while you work on underlying diet and stone triggering issues. If you enjoyed learning about the uses for common corn silk, let’s stay in touch! 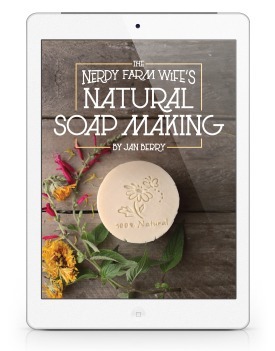 Subscribe to my newsletter to get my best herbal projects, soap ideas, and DIY body care recipes sent straight to your inbox, two to three times per month. If you like the projects on my site, you’ll LOVE my print book. Originally posted July, 2013, updated July, 2018. Tagged corn, corn silk. Bookmark the permalink. Love your posts! Every one! thanks! Oh my word, no wonder my goats and chickens go for the silk first when I shuck my sweet curb directly into the pen. There is so much information and knowledgeout there and so much to learn. Thanks for how simply you explain how you.do things or the benefits. Love getting an email from you. Wow!!! How cool to find out those darn corn silks could be useful. I have made corn cob jelly so now all parts can be used. Thanks for sharing!!! Jan we would love to have you share this on our Blog Hop at Wildcrafting Wednesday! What a brilliant post! Thank you so much for sharing it on Wildcrafting Wednesday! Excellent post! I love that you have found something that just went into the compost heap and now I simply MUST tincture is as soon as possible! Ran across your blog searching for natural methods to help with chronic pain and now chronic water retention; I was a hobbyist herbalist most of my life, and heard of corn silk before as an aid, however, I needed a recipe. PS: I have been on prescription medication for 12 years and the side effects are sometimes disabling for me, most of which cause water retention. Since, I take Lassix for that side effect, I wonder about how long I should stop the prescription before trying the corn silk tea. What about raw corn silk on a salad? Thank you for all the usefull information. Needed this today. You’re welcome – I’m glad it helped! Thank you Paula for sharing your knowledge; just want to add my long term suffering with foot pains to cut the story short; there was a day that i bought some corn and boil them the hush was piling so my mind just clicks why not boil the hust and silk together pour it into a plastic bowl and soak your feet in; I then straight away did it; and feel relief and ease; then continued with it for about five days now i am back on my feet. Interesting post Jan. Just shredding some come and googled the used for the silk, when I came upon your article. I strongly believe in using the things that God has blessed us with from nature to heal and take care of our bodies. Thanks for sharing. Hi Michelle, I agree – we have so many good things growing around us! One cautionary note – be sure you use organically grown corn. Conventionally grown corn pesticide sprays are aimed at the husks and the silk to deter pests that enter the ear that way and cause damage. If you are comfortable with the FDA assessment that the product is safe for consumption, remember the husk and silk are most likely not expected to be consumed. I would say better safe than sorry especially since we are learning amazing ways to care for our bodies from Jan, who I would like to say thank you for sharing all of this! It’s always wonderful to come across people like you who try to help others. Thanks a lot! You’re welcome Kay! I’m happy that you found the information helpful. Hi Joanne, Since you’re on Lasix and have those kidney issues, you should double check with a nurse or doctor familiar with your health history to be sure. I would also suggest that you look in your area for a naturopathic doctor. They are trained to know both traditional medicine and natural remedies like herbs. I found mine by asking my local health store owners about doctors they liked. If your condition hasn’t improved for over a year, it does sound like a significant change is needed, but you’d have to do so under the supervision of someone who can safely adjust down your meds, as needed. Calcium has some important co-factors needed to make it go where it’s supposed to go such as vitamin D, vitamin K, magnesium, etc so if yours is going in the wrong places (your kidneys), you might need more of those vitamins/minerals badly. It could also be diet related or genetics or all sorts of reasons, but a naturopath looks for the root cause and tries to address that, instead of just treating symptoms with more and more medications like regular doctors tend to do. If you can’t find a naturopath though, you could still ask your doctor about the corn silk. I hope you’re able to find something to help and best wishes for improved health! Hi you can use silk and I am also suffering from stage ckd.i started taking fish oil 1000mg, vitamin c 1000mg, magnesium oxide 400mg.and do take half a tsp of baking soda in 4 ounce of water 5 times a day.you can email me if you need further help. aypviji@ gmail.com. it really helped me honestly. And many things have to be avoided in food.basically eat foods closer to nature and never eat processed foods. I would like to ask how you are doing, it has been a few moths since you wrote the comments and was wondering if you been able to get your kidneys to work better. I myself have not good working kidneys as far as I can tell and really want them to become healthy again and learn from others in the proces. My mum had kidney falliure and had to get dialyse and lateron a donor kidney ……..not a road Iam willing to go for sure, not if I can help it anyway. Would love to hear what your road is a the moment, really hope its a great one! I don’t understand why they would remove the kidney. My aunt had a transplant and they just leave the kidney in. Why have surgery unless its a must. Always get that second opinion. With stage 4, I’m surprised you’re not on dialysis. First time I’ve seen your site and thank you! I am researching cornsilk and will be making some tincture to share with a class and I’m wondering if freezing the silk till use is as effective as drying it. I won’t have enough ready at the same time. Also I have a friend who will be saving me hers so wanted to know the best way. Thank you very much! Hi Heidi! I think freezing it should work great. You could also start the tincture with the little bit of corn silk you have and just keep adding more to the jar as you get it. Thanx so much, I appreciate you answering me. I found your site the most helpful I have found so far and will recommend you to others! Summer blessings! Who’d of thought it! I had no idea corn silk could be used for these health issues. Hi Holly! I’m glad you found the post informative! This is really interesting. I never knew corn silk had any purpose other than simply making it down-right difficult to clean the ear of the corn ;) Thanks for teaching me something new! In the Philippines, this is a folk remedy, and I have made corn silk tea to help with my UTI. I always wondered if it was a viable remedy, and reading your article about corn silk was both enlightening and reassuring. Thanks for sharing this! That’s very interesting to know that it’s a folk remedy there! I’m glad that it helps you! This is amazing. Is there anywhere I can by organically grown corn silk online? I never knew about this corn silk use:) so thank you for the info. One quick question, you don`t cook it only put it in almost boiled water and then let it cool down right, cos I came across a video on You Tube that said that you need to boil it for some time and then drink it after cooling down. He pointed out your page for the info. So I am a bit confused. Sorry about that! Sometimes comments end up in the spam box – especially if they have a link in them. I try to go through and fish them out, but with hundreds of spam coming in each day (even with three spam filters installed!!! ), it’s impossible to find them all. Although the box was ticked. I didnt let the water boil and put the water on top of it when it was a bit warm……..thought perhaps the hot water would destroy some benifits but not sure. yes the video link , this is the one I was talking about. Again sorry for not answering sooner! well the taste was oke, but thanks for the tip! 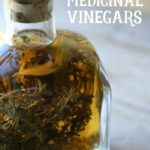 How do you make the tincture, with alcohol or distilled water or so? Hope your connection will soon be oke again. Thanks for all the effort and time you put into all of it, we :) on the other side read it all and often forget what people like you put into it all, so thanks again!! Great post! I had no idea. I’ll have to try making some tea! Glad you found it helpful Kirsten! Wow! I had no idea, I pinned for next year! Thanks for sharing on the Homestead Blog Hop! This is INCREDIBLE!! Thanks for the knowledge on corn silk – my mouth is agape with surprise at what we can do with the whole corn plant! I have just had a spare moment to uproot a few corn that I plant in my garden, as Autumn arrives. They are all baby corns, and as I made to throw the silk away, I instinctively felt that there must be a usefulness for the corn silk as they were pretty to the touch and soothing. Hence I googled it and came to your website! What a wealth of amazing information I got here. Thanks Jan! Am totally bowled over! Would be making loads of teas, and sharing the knowledge. I’m sitting here sipping corn silk and peppermint tea looking for ideas on how to use up my fresh corn/corn silk that I bought at the farmer’s market last week- northern CA markets are insanely good for most of the year. 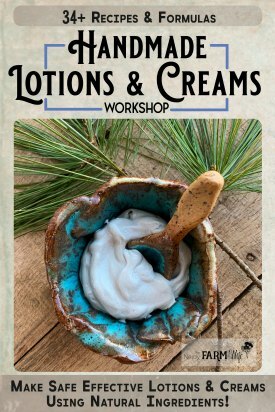 I’d love to put some in soaps and creams but I am not setup for that in my small kitchen. I have added it to chicken broth in the last 40-60 min of simmering. The taste is almost like a mild popcorn tea, not bad but not that great. Tonight I added peppermint tea, which is not too strange considering the corn silk has some menthol phytochemicals in it, and it overpowers the corn silk taste. Hi Jeanne, I’m happy to know you enjoy the blog! Thanks for sharing your combination idea for peppermint and corn silk tea – that sounds like a really unique, but good pairing! Hi Richard, Glad you found the information helpful! Hi, I am having terrific results drinking corn silk tea a couple 3 times a day for my over active bladder. Now when I have to go it’s with a full bladder and am no longer getting up several times a night to pee, getting a good nights sleep is priceless!….Not to mention no “accidents” any more. being to fine a brown stain around her female parts. just took a urine sample it was a little brown,but had the urine checked there was no infection 3 days ago and no blood . Hi! I’m afraid that’s way outside of my knowledge base so I don’t really have a good answer for you. Do you have a vet nearby that you can call to ask? Our local vet will answer questions by phone & they can let you know if it sounds serious or not. I hope your dog feels better soon! thank you jan for your reply. Thanks for this great info! I’m interested in using silk in a vodka tincture, as it seems the easiest way for me to use it. But my intended benefit is to help with hyperglycemia — I’m wondering if the alcohol would be counter-productive in this application, since it’s not recommended for diabetics. Hi Karla, That’s a great question! I’m not 100% sure on the best way to go; you’d definitely want to run anything by your primary health care provider who is familiar with your history & blood sugar levels. One option they might approve of is to use the tincture, but drop it in a hot liquid like tea or coffee to help some of the alcohol evaporate out. Tinctures are so concentrated, you don’t need much to be effective. (My ND told me that some cough syrups have more alcohol than a diluted tincture.) Another option is to use it to make tea, or you could simmer a small amount in broths or soup & bypass the alcohol completely.